A group of people gathered this week to see Haukur Bergsteinsson swim to shore to celebrate his 1500th swim at Nauthólsvík beach in Reykjavik. 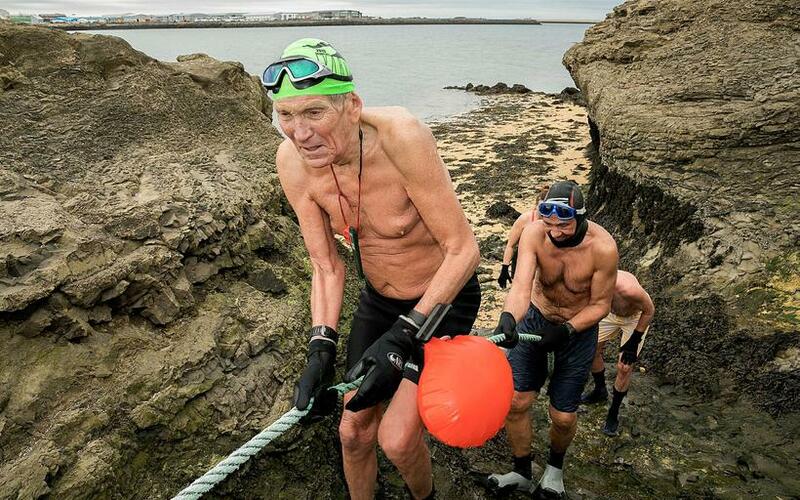 Bergsteinsson turns 81 this year and swears by cold ocean swims for good health. Speaking to an mbl.is journalist just after coming back to shore he says that the sea was at a temperature of 4 degrees on Celsius. Bergsteinsson swam 200 metres this time. "It's an incredible feeling," he says, when asked about how it feels to swim in the cold ocean. "I started in the spring of 2008, I just wanted to see if I could do this and just got in for a minute at a time, increasing the amount of time each time. I also started noting down the times I swam." 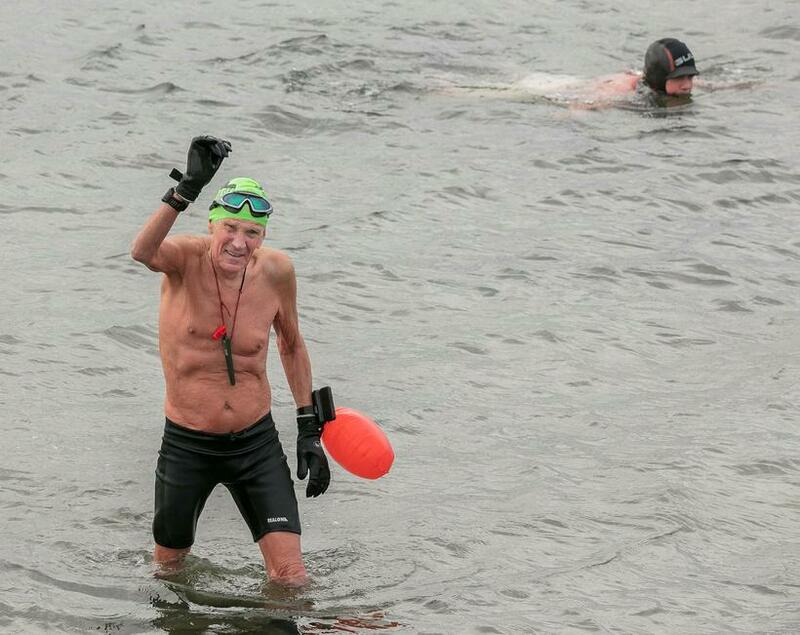 He says there's no doubt that the sea swimming has contributed to his good health. "I have suffered from cancer and I can feel that this helps me both physically and mentally." He adds that he wasn't a very strong swimmer before. "I was really bad at swimming. One time when I was swimming with a group in Akureyri I got swept away by the tide and ended up with hypothermia. After that I learned the front crawl and that helped." "I'm going to keep swimming, the feeling is just indescribable." He reccommends sea swimming for everyone. "At least try it. You either love it or you don't. For me it's definitely unmissable."